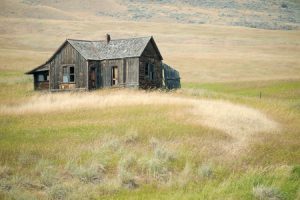 If you’re a prepper, then likely you have considered homesteading simply so that you can be ready when society collapses and so that you can survive when the power grid and other services are no longer useful and available. But, if you haven’t looked into homesteading, you may want to do your research so that you don’t walk into this blind and unprepared. Infrastructure may not be a word that you are familiar with, but, basically, it means the ideas, concepts, and physical structures (such as buildings) that you use to build systems on. So, when you consider the idea that infrastructure is everything, this means that having a home that is well-built and keeps cold out in winter and stays cool in summer, having a reliable water source and (if appropriate) pump, having electrical sources (if that makes sense for your situation), and having storage facilities for food and fuel. Surviving long term will be so much easier if you have these things set up and the knowledge of how to use them already in your head. Don’t expect homesteading to be a walk in the park. When you homestead, you are responsible for building anything, repairing everything, gathering food, and making sure everything necessary gets done. It is a lot of work. But, it is doable work. Our ancestors did it for generations, and we can learn to do it, too. Just don’t think that homesteading is for the lazy. It’s not. Frankly, you can’t know everything, and you’ll need to find people who know what you need to know. Also, it’s just not practical for you to do everything. Some things are more urgent and important than others, and you need to focus your time on the things that have to get done for you to survive now. Having said that, if you have a horse, who is going to provide horseshoes? If you have the ability to have solar or wind power, should you become an electrician to handle all of that, or should you specialize in an area of expertise where you can provide value to others, too? If you have a group of people with diverse skills working together, this can make surviving infinitely easier. Many things will cost more than you expect. Be ready for it. Just realize that, in comparison to dying when the SHTF, it’s better to pay the expense for all of the different factors of homesteading than the alternative. 5. It’s not for softies. Homesteading requires a hardy mentality, a mentality which, too often in my opinion, is missing in our “modern” society. Mentally tough people do the difficult things and keep pressing through and putting in the work to get to success, but, make no mistake about it. There will be challenges, and you need to be mentally tough to do this. That is just the way it is with survival. With these five ideas as a starting point, what other advise would you have for someone considering homesteading? Tell us below. My other “advise” would be to call it advice.